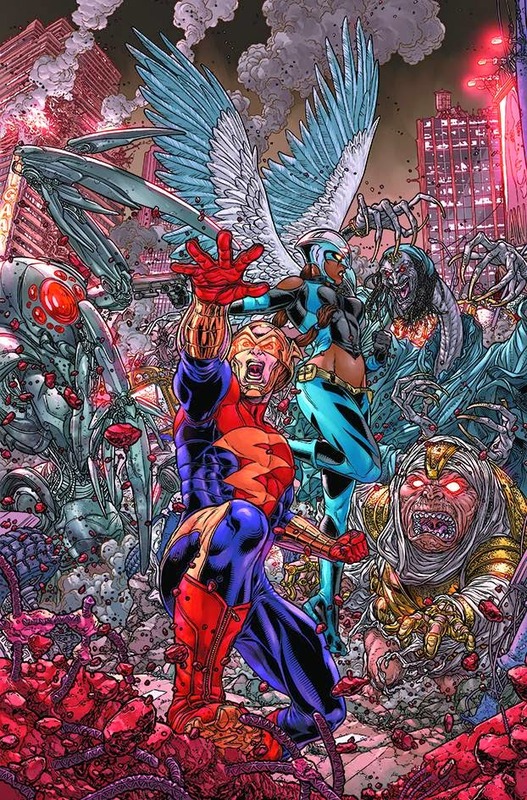 It's the final chapter of a lot of DC titles as we near Convergence. Will your favorite 'queeros survive? The first step will be to get through this month! 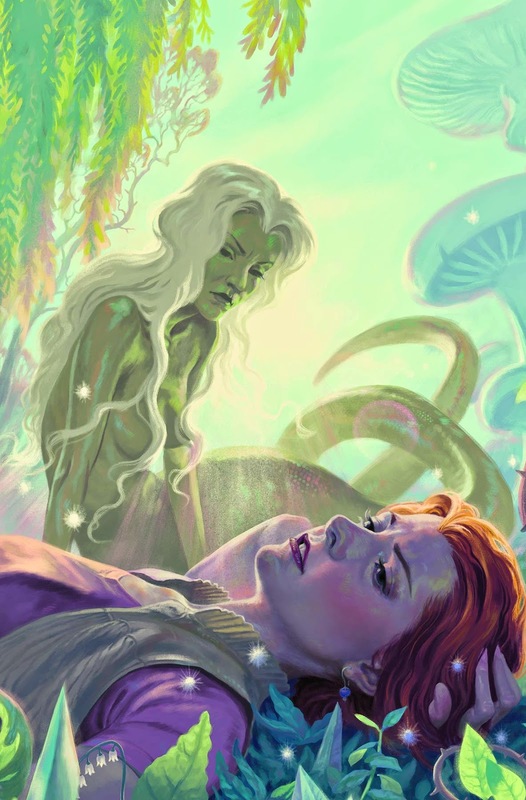 SuperQueeros: All that's lesbian, gay, bisexual, and transgender in comics today! Kate gets one more issue before she rides off into the sunset, and it's an annual! See how the creative team bids adieu to one of the most revolutionary queer characters of the millennium. Meanwhile, Kate's ex Maggie bows out too. That's right, it's the final issue of Batman Eternal! Is Green Lantern dead?! 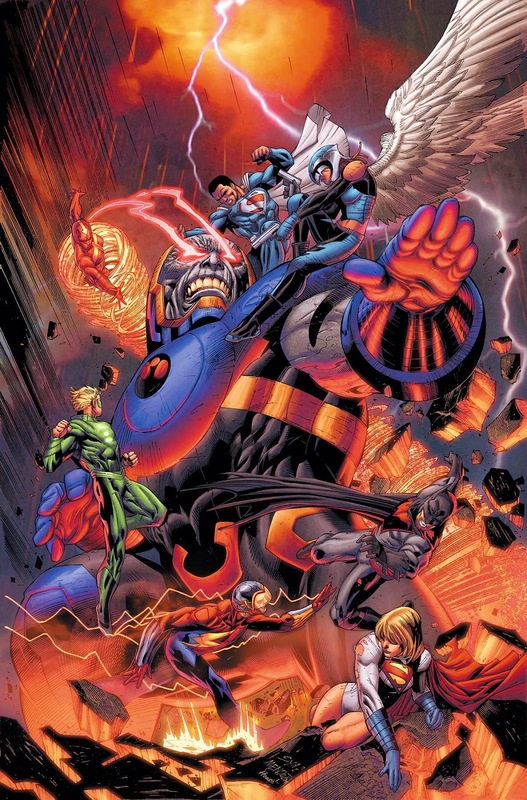 It looks like Allan opens the issue by getting creamed by Darkseid and then performing the ultimate Lunar Dance to resurrect all the other Earth 2 heroes. But is this truly the end of the only gay Green Lantern? And, as this series closes out, does he have a role in the upcoming Convergence event? The teens clean up Superboy's mess. Woohoo? At least no one is dying before Convergence. 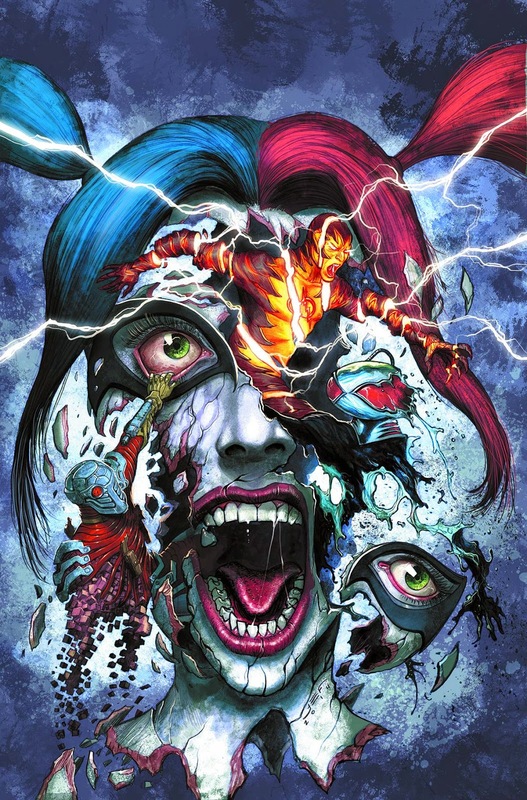 Now that Deadpool has decided to become 'Poolverine and join this book, does Mystique have any chance of getting Destiny back? There's a new gang in town: the Gang of Harleys! The girls camp out and tell each other scary stories about the Joker! The new team's first tale comes to a dramatic conclusion: Diana vs Donna! 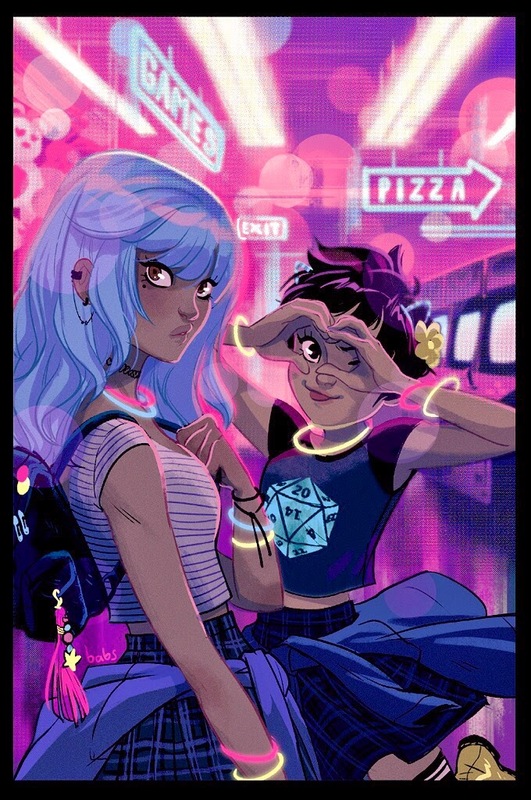 For everyone who was wondering, I did some Gotham Academy research and I have a handle on the #queerness of its cast. Plus, I go a little crazy with the 21st century's first rhetorical device, the #hashtag. #SuperQueeros: all that's lesbian, gay, bisexual, transexual, transgender, and queer in comics today! I can't decide if the theme this week is "the return of faces from your past" or "sudden changes in location", so I'm picking both! SuperQueeros: all that's lesbian, gay, bisexual, transexual, transgender, and queer in comics today! After a total cute-fest in an alternate reality (Didn't Willow do something similar when she was hooking up with that Snake Goddess? Do all lesbian relationships develop in other dimnesions? ), Mol and Mal are trying to find a way home. Will they be able to make it back and be the deus ex machina that their fellow 'janes need? It's murder-solvin' time! Plus, Andrew gets some relationship advice! And what's this on the cover? The aforementioned Snake Goddess ex-gf of our very ow Willow Rosenberg? Superboy returns! However, when the solicit says that this "rocks" everyone's world, I am assuming that they do not mean it in the same way that my Superboy/Bunker OTP brain interprets it. 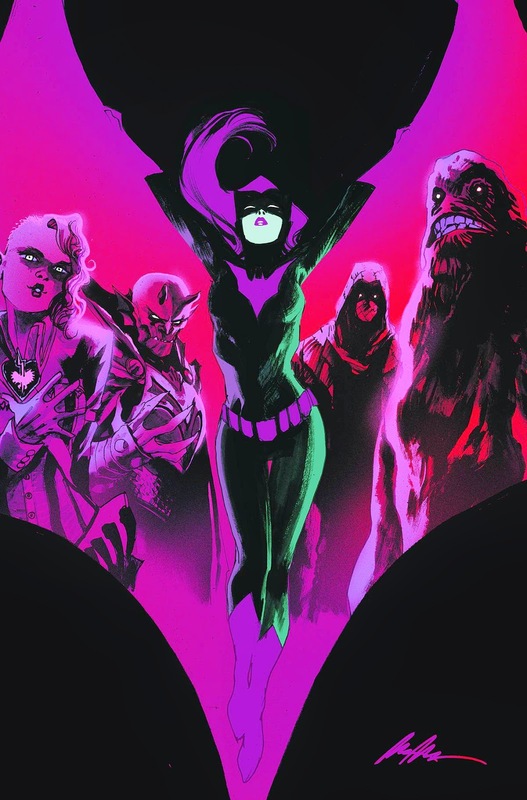 Babs' past comes back to haunt her in her solo series, while in her one shot we get the promise of an epic Burnside Bridge battle! Laura's crush is revealed, and the fight for Shogun's body continues! Power Girl takes on Darkseid! If she falls... 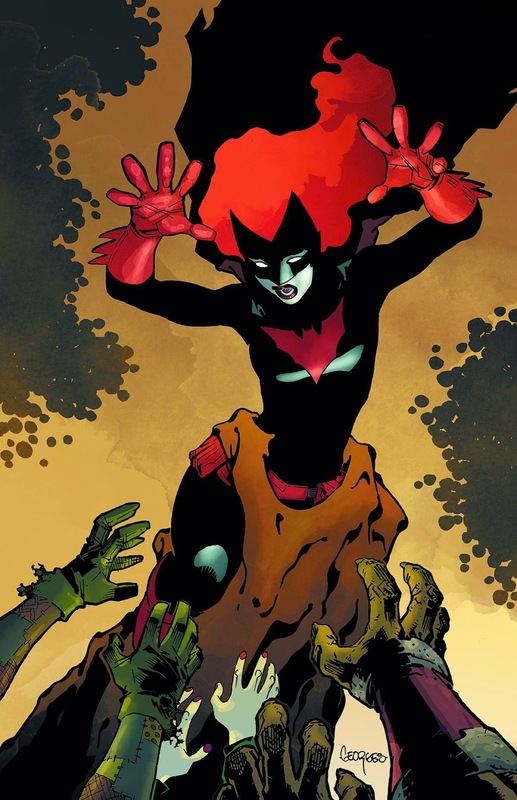 I'm sure we'll get her back in Convergence. So, you know, it's the standard stakes with this battle. Batman Eternal is wrapping up their many story threads, starting in this week's issue, #50. There have been some queer characters in this title, so I'm assuming that there will be some cameos. Storm #9 comes out this week, and it features one of the best X-team-ups: Storm and Gambit, being all theives and stuff! So, no queeros, but still a good comic. A teenage girl, an evil planet, a golden model Earth... death is coming from the oddest places this week in the lives of our... SuperQueeros: all that's lesbian, gay, bisexual, transexual, transgender, and queer in comics today! A copycat killer has wandered into the sights of Rachel and her team. Meanwhile, intrepid serial killer Zoe sets her sights on a sexual predator. The world is DOOMED! Or, at least that's my prediction with all these Convergence solicits floating around... That and the fact that the Earth is getting totally eaten by Apokolips. That's also pretty damning. With Harley about to be crushed by the Daily Planet, will the team be able to keep its roster from shrinking even further? Well, the solicit says that there is about to be a superhuman revolt, so it seems like a good time and a great place to find some new recruits! Man, it sure stank that Daken had a new arm and eye for, like, one beer before Fang took it all away again! And Mystique's plan has sure been put on hold while Fang plays with the Wolvies. Speaking of, Fang and newly-good Sabretooth go off to have some character developing adventures this issue. Meanwhile, Ogun and Sharp square off for control of their shared body! Plus, Fantomelle and Culpepper's continue their adventures in thieving. 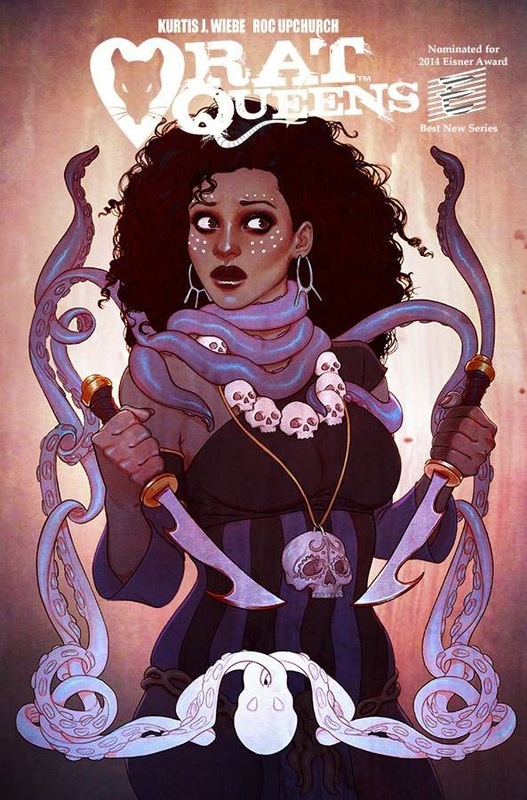 Rat Queens is back! Plus the queer-inclusive weekly titles focus on their 'queeros! SuperQueeros: all that's lesbian, gay, bisexual, transexual, transgender, and queer in comics today! The Queens are back and fighting more Abyssal tentacles than ever! Mystique's plans are put on hold as for a one-issue look at the past, present, and future of everyone's favorite queer sociopath, Daken! Apokolips is eating Earth! Can our heroes delay the destruction of their planet long enough for us to get an awkward love triangle between Allan Scott, his boyfriend Sam, and Obsidian? C. Willow Wilson's seminal run on adjective-less continues! And Psylocke walks away from an explosion like it's no big deal!